The Mack, Gil, Nitroade hauler, Leak Less Hauler opens on both sides and features a flip-down ramp, slide out work area, tool chest and an air compressor. Vehicle sold separately. Length 23cm approx. Suitable for children ages 3yrs+. 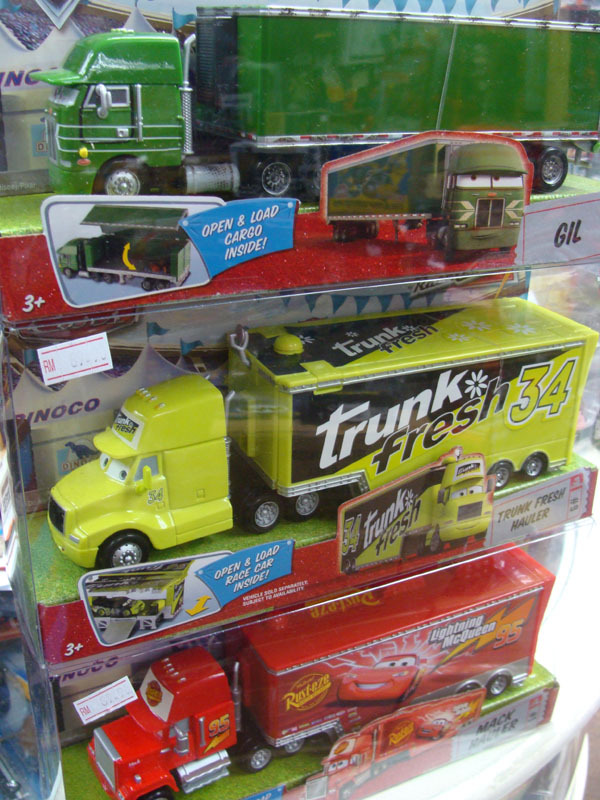 These Pixar cars truck and trailer comes in assortment and Disney fans shall collect them all to complete their collection. 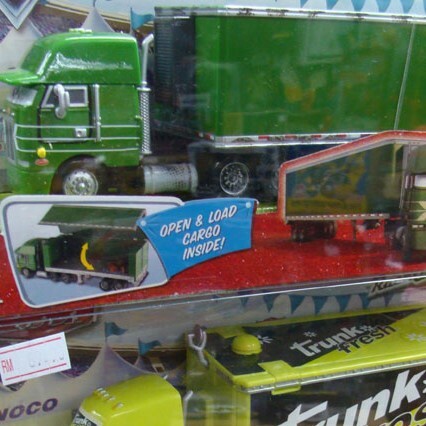 Each truck is RM89 and sell separately now at Toywiz Malaysia.